When the Drummers Were Women is an inspiring history of feminine power and spirituality, a shamanic journey to call the beat back into our tribal hearts. 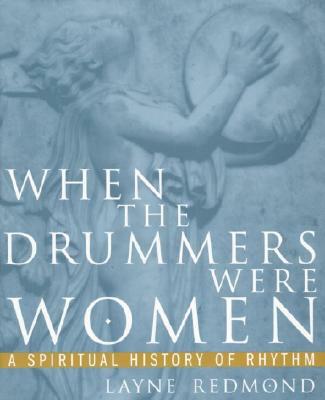 Layne Redmond, herself an accomplished musician and expert on the ancient history of women in music, has written a book that delves deeply into the chronicle of women as drummers and leaders of rituals. 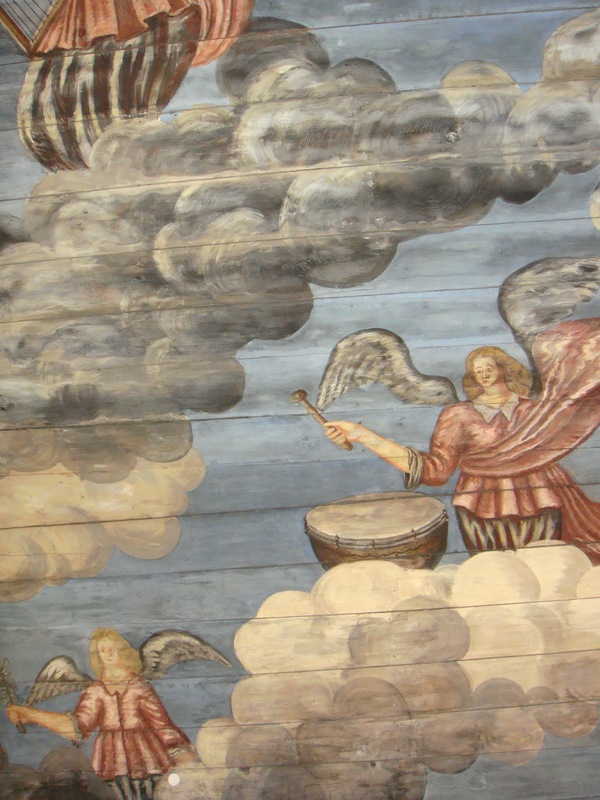 As Redmond explains in the introduction of her book, handheld frame drums are among the oldest known musical instruments, and the rituals of the earliest known religions evolved around the beat of such drums. These religions were founded on the worship of female deities – the Divine Feminine, Mother Goddess herself. In these days of old, women’s bodies were considered sacred – due to their ability to procreate life. As a result, it was women who were the first priests, and sacred drumming one of their primary skills. In modern times, drummers have been almost exclusively men, but more and more women are rediscovering their ancient birthright. 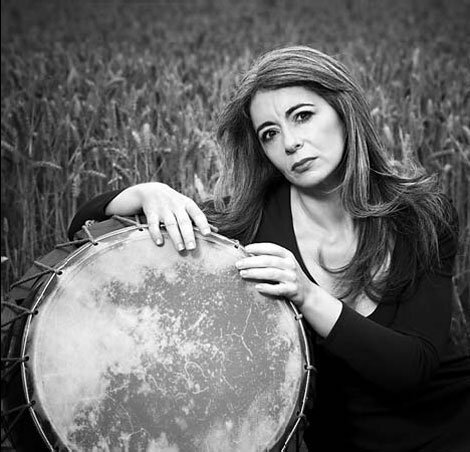 Every year there are more professional women percussionists – including Dame Evelyn Glennie, a Scottish percussionist who although profoundly deaf, still mesmerizes audiences with her musical skills. Women today are on a spiritual quest, prompted by a deep longing to understand who they are and what their purpose in life is. Part of satisfying that longing is in rediscovering an ancient wisdom that teaches them how to connect – to themselves, to one another, and to the sacred energies of the universe. Drumming becomes a big part of making that connection, of raising those sacred energies. Everywhere women are coming together in sacred drum circles…seeking not merely to make music, but to create special bonds of consciousness and healing. Modern archeology has discovered examples of drumming in ancient cultures around the world. From the caves of the Paleolithic to the pyramids of Egypt, from the temples of Greece to the palaces of India…sacred sound has had its place in the practices of ancient spirituality. And with such sound, the priestesses gave honor to the Great Goddess herself who went by many names. 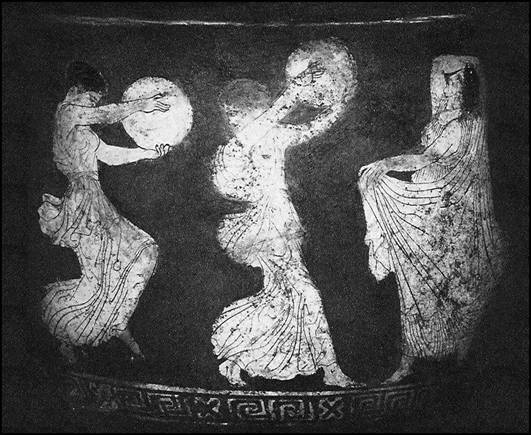 The ancient Cretan goddess Rhea sat in her cave and played her frame drum. The Egyptian goddesses Hathor and Sekhmet are depicted with drums on the walls of temples along the Nile. Durga, the Hindu warrior goddess, carries a damaru – a small double-headed, hourglass-shaped drum used for meditative practices. 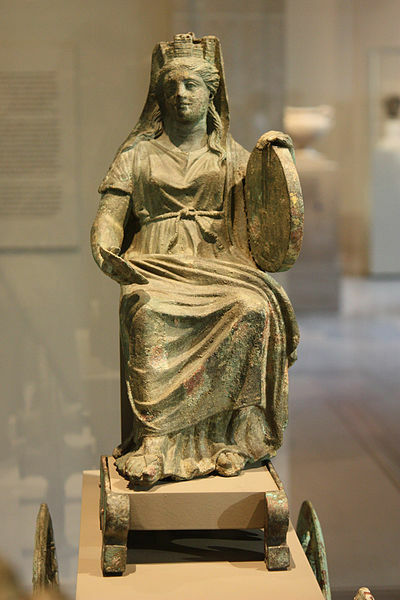 But perhaps the best known goddess associated with the drum is Cybele, whose rituals traveled with the trade winds throughout the Mediterranean world. She arose from the remains of the Neolithic goddess of Catal Huyuk, an ancient city in what is now Turkey, that flourished from 7200 to 5500 B.C. 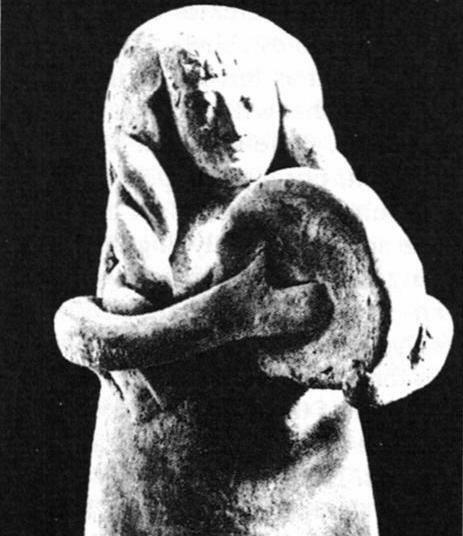 In the classical world she became known and worshipped as “Cybele, the All-Begetting Mother, who beats a drum to mark the rhythm of life.” Indeed, her frame drum was one of her most important objects – symbolizing the moon, and the primordial egg of creation, whose beat is the pulse of life. but they should only be silent and pray to God. according to their religion, it is neither good nor becoming. Today, the beat goes on. More and more women are reclaiming their role as drummers, and writing the next chapters to the ancient history which is told in this book. Not only WERE the drummers women…they continue to be.